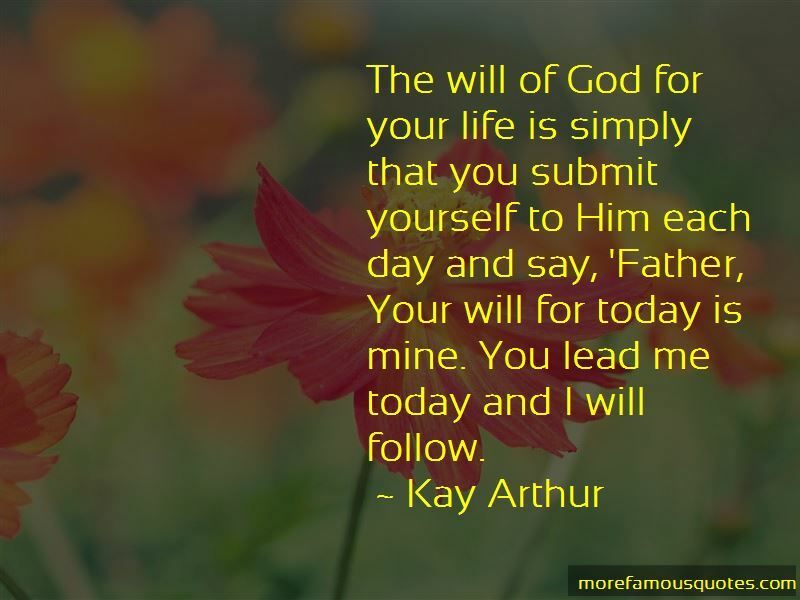 Enjoy the top 33 famous quotes, sayings and quotations by Kay Arthur. Sin will take you farther than you ever expected to go; it will keep you longer than you ever intended to stay, and it will cost you more than you ever expected to pay. In any trial, in any bitter situation, you are not alone, you are not helpless, you are not a victim. You have a tree, a cross, shown to you by the Sovereign God of Calvary. Whatever the trial or temptation, it is not more than you can bear. It is bearable. It can be handled. You can know as Joseph knew, "You meant evil against me, but God meant it for good in order to bring about this present result, to preserve many people alive" (Genesis 50:20). If you are God's child, you are no longer bound to your past or to what you were. You're a new creature in Jesus Christ. If sheep do not have the constant care of a shepherd, they will go the wrong way, unaware of the dangers at hand. They have been known to nibble themselves right off the side of a mountain ... And so, because sheep are sheep, they need shepherds to care for them. The welfare of sheep depends solely upon the care they get from their shepherd. Therefore, the better the shepherd, the healthier the sheep. 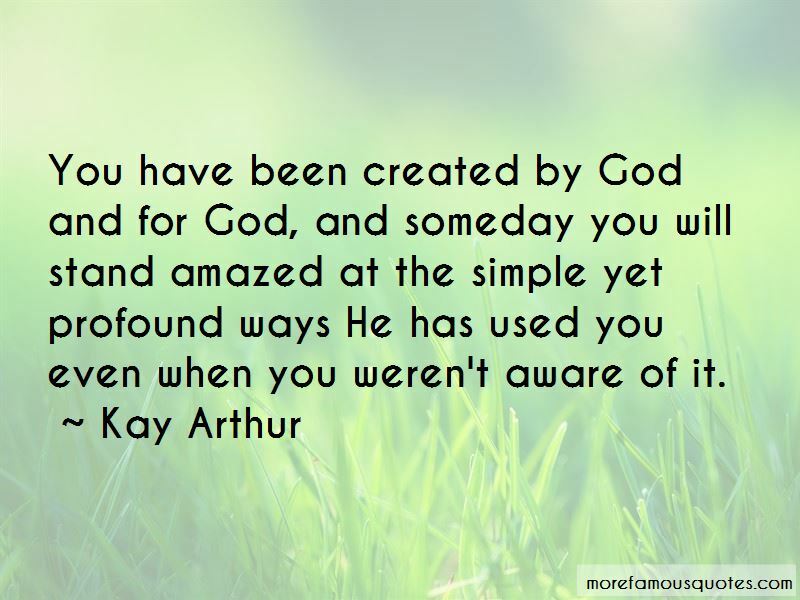 You have been created by God and for God, and someday you will stand amazed at the simple yet profound ways He has used you even when you weren't aware of it. According to God, the One who designed and instituted marriage, love is a choice. It's a matter of obedience, not emotion. I had a mink, and I had money and I was miserable. 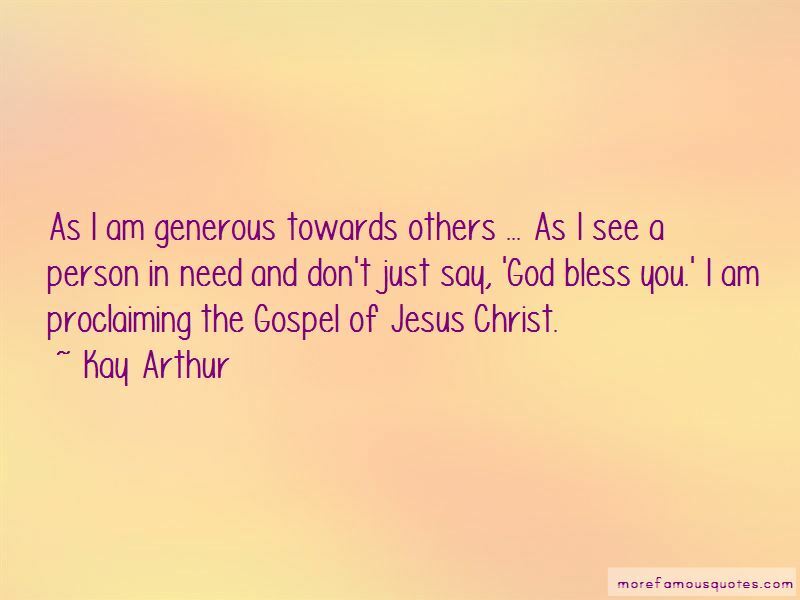 Want to see more pictures of Kay Arthur quotes? 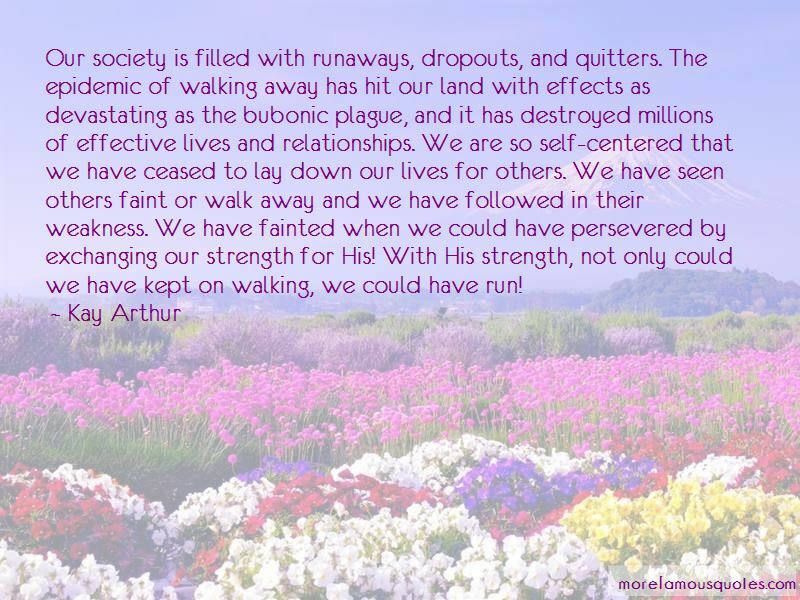 Click on image of Kay Arthur quotes to view full size.